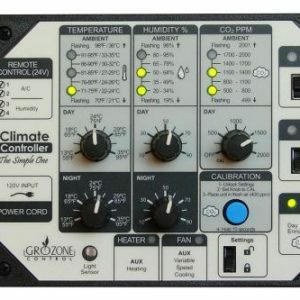 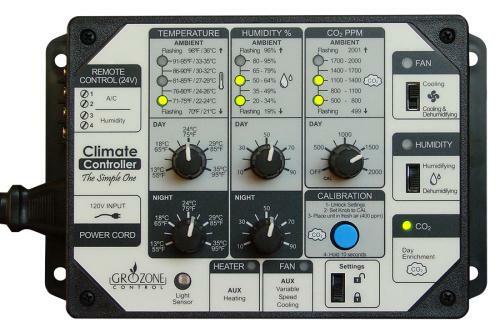 An easy-to-use alternate solution to HTC Climate Controller: just connect your fan, your dehumidifier or humidifier, your CO2 generator, set the knobs and you're ready! 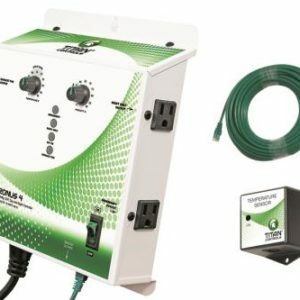 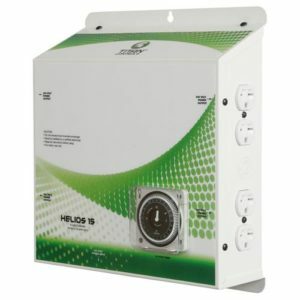 Two built-in LVC1 (Low Voltage Relays) to control high power HVAC Systems (A/C, Dehumidifier...). 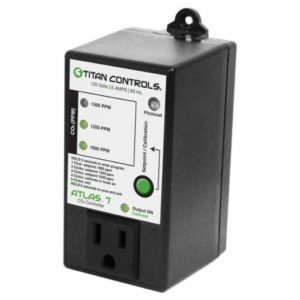 Optional output boxes for heating (OB2) and fan speed control (OB2-V) Sold Separately. 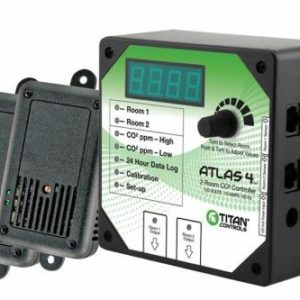 Also includes these smart features: Empty CO2 tank detection, Automatic competing equipment detection and high temp and low temp limits.